This truly unique ring has a striking appearance and sits perfectly nestled into your finger. Applauded for both it's form and function, you cant look past this design. 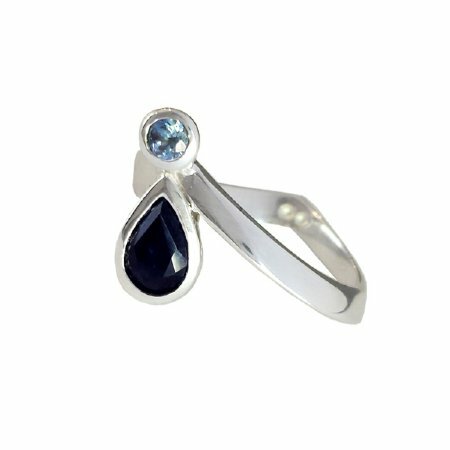 This ring will be beautifully handcrafted with your choice of diamonds or sapphires. 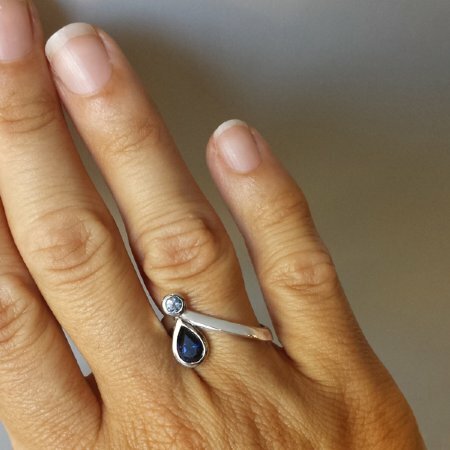 Image shows the Ratio ring adorning a unique combination of a round light blue Ceylon sapphire and pear cut Australian dark blue sapphire. The Ratio Stone Ring can be created in white gold, rose gold and yellow gold in your preferred carat weight. Prices start from $1800. Please email us for a quote.